A stunning country house hotel in Bath, 4 star Premium The Combe Grove Manor Hotel is perfectly located for all of your event needs in Bath and Somerset from Evening and Themed Events to Corporate Entertainment and Team Development. The hotel is just three miles from Bath city centre, and sits nestled in 69 acres of private gardens and woodland with breathtaking views of the Limpley Stoke Valley and so has ample space to meet all of your Outdoor Team Building needs. 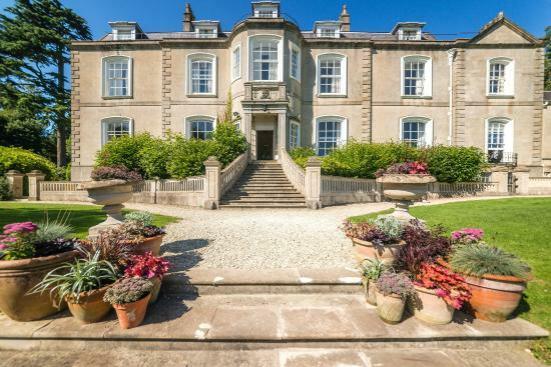 This hotel near Bath boasts 42 bedrooms including 9 deluxe rooms and suites in the Georgian manor house perfect for all of your Indoor Entertainment needs or for a night of Evening Entertainment. You can dine in the Georgian Rooms, hotel’s 2 AA Rosette restaurant, or for a more informal atmosphere sample the many dishes served in the Eden Brasserie with its terrace for alfresco dining to provide a relaxing finish to your day of Corporate Entertainment, Team Development or Team Building. Immerse yourself in extensive facilities complimented by a range of both modern and traditional accommodation combined with award winning food, great service and a relaxed atmosphere to ensure that your Team Challenge Company designed company away day is everything you are looking for. The Combe Grove Manor Hotel offers a range of country club facilities including indoor and outdoor heated swimming pools, sauna, steam room, fully equipped gym, indoor and outdoor tennis courts, and a 16 bay golf driving range there are lots of options to help create your ideal event.